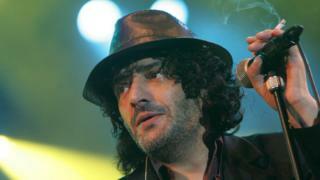 He rose to prominence as the lead singer of Arabic-language group Carte de Séjour, which blended Western punk rock with Algerian Maghrebi music. Taha then went solo, and in 2004 covered The Clash's song Rock the Casbah. His other famous songs include a version of Douce France with Carte de Séjour, as well as his cover of song Ya Rayah as a solo artist. In a 2001 music festival review, the BBC described his work as a "seductive mixture of traditional North African, rock, techno and dance music". Most famously, however, Taha cited cited British punk group The Clash as a major influence. He allegedly met them in 1981 and handed them a copy of his band's demo tape - which he later suggested may have influenced one of their most famous tracks. "A few months [after giving them the tape], I heard Rock the Casbah," he said in an interview with London-based newspaper The Guardian. "Maybe they did hear it after all." He would go on to perform his own version of the song with The Clash's Mick Jones years later. His work also appeared in several films. Barra Barra, a song from his album Made in Medina, notably appeared in the 2001 war film Black Hawk Down.